First time homebuyers or investors! This 2 bedroom/ 1 bath second floor unit in Aspen Court is sunny and bright and in an super convenient location in Comox within walking distance to Quality Foods shopping center, recreation and bus route. Located on the quiet side of the building. Features include in-suite laundry, an elevator and allows one small pet and rentals. 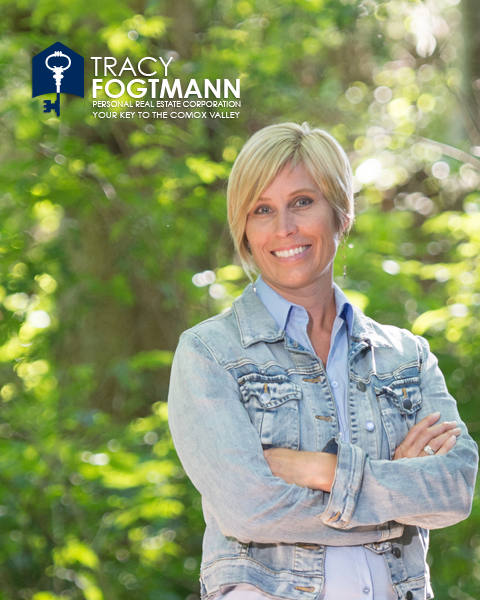 Tracy’s philosophy has remained the same since she started her Real Estate career 14 years ago. Buying or selling real estate should be a stress-free experience beginning with a detailed marketing plan that will showcase your property to interested buyers. She’ll then follow up with enthusiastic energy, local knowledge and years of experience as a skilled negotiator. Tracy has created a one-of-a-kind, comprehensive marketing system for selling real estate that works. From pre-sale planning to negotiating the best possible sale price – Tracy combines use of the latest in technology and online marketing.She’s an experienced Real Estate Professional selling homes since 2005. Tracy is a multi-year RE/MAX Platinum Club, 100% Club, RE/MAX Hall of Fame, RE/MAX Lifetime Achievement and RE/MAX Titan award winner. She has consistently reached the RE/MAX ‘Top 100 Sales’ in Western Canada in 2015, 2016 and 2017. Born and raised on Vancouver Island Tracy has focused on knowing all there is to know about this vibrant Comox Valley community in which she lives. Many years of experience and dedication to open communication and approachability have assisted Tracy in creating long-term client relationships, and she is thrilled to assist her clients in actively listing their current properties or purchasing their dream homes. You can rely on honest feedback and her constant availability. You’ll deal with Tracy directly in regards to your listing or purchasing transaction, and this hands-on approach helps to make your purchase or sale easy to navigate and as stress-free as possible! Tracy's straightforward attitude will provide you with honest feedback from beginning to end. The blue circle drawn on the map represents the area which is most likely to contain listings comparable to 203c-698 Aspen Road. If you wish, you may adjust the circle by dragging the white center handle to move it, or dragging one of its other white handles to resize it. Press the 'Next' button at the top when finished. The User acknowledges and agrees that real estate information provided through the PCS system is general in nature and does not constitute the provision of trading services to a consumer as defined in the Real Estate Services Act. but does not include an activity excluded by regulation. By accessing the information a User does not establish or consent to an agency or any other relationship with the REALTOR® who is providing the User with access to this service. Before providing trading services to or on behalf of a party to a trade in real estate, a REALTOR® must disclose to the party whether or not the REALTOR® will represent the party as a client. The User further acknowledges that should they wish to receive information other than that of "general" information or to engage the REALTOR® for any of the above referenced Trading Services activities, they may contact the REALTOR® who will, as required by the Real Estate Rules, present to the consumer the Disclosure of Representation in Trading Services form, and explain the special legal duties real estate professionals owe to their clients and help you choose whether you want to be a client of the REALTOR® or an Unrepresented Party, with no real estate professional representing you.